Ray Evans was educated at Melbourne High School (1953-56) and the University of Melbourne (1957- 1961), graduating in Electrical and Mechanical Engineering. He worked in the SECV and then taught engineering at the Gordon Institute of Technology and Deakin University. He joined WMC in 1982 and was a co-founder of the H R Nicholls Society in 1986. He was awarded the Tasman Medal in 1996 and the Centenary Medal in 2001. He has written widely on political and cultural issues, most recently on the impacts of Environmentalism throughout the West, particularly with respect to the Global Warming Scam. He is secretary of The Lavoisier Group. 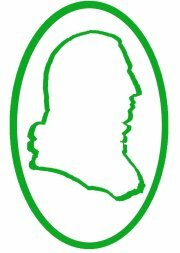 In this 30th Anniversary dinner of the Australian Adam Smith Club, Ray will discuss the influence of Adam Smith on free markets and individual liberty .